Expression is the act of creation against the immense odds that would rather have oblivion be the ubiquitous state. The destruction toward nothingness -entropy- is the primary force of the universe and any action that denies entropy for the merest of moments is an act of expression that creates the world we live in. This is the most powerful force that we as humans have access to: the biological necessity to demand our existence. And how we do it depends upon our creativity; but make no mistake: our survival depends upon the beauty of how we exhibit ourselves. Biology is expression. The survival of any species is testament to that. Thought manifested through discussion, action or art is expression. One of the ways I contribute to the Act of Creation is to champion and celebrate it. The Museum of Latin American Art is located in Long Beach, California and is THE home for Contemporary Latin American Art within the United States. I am proud to say that I was voted on to the Board of the MoLAA Docent Guild Board and used to lead art tours for the museum. I have found that regardless of the work I do, I am inspired by the paradigms created by talented artists: including the intensity of Aime Cesaire and Allen Ginsberg; the beauty of Neruda and Lorca; and the rage of David Siquieros, Roberto Matta and Wifredo Lam. Below are a couple art lectures I have put together and one where I was able to combine the love of both art and environmental work. I've written a few things creative and non-fiction. Below is a scanned image of a poem of mine that was published in a chapbook (Garbanzo). I've also had articles on biodiversity published in a local magazine and opinions on conservation published in papers for different organizations. I try to collect them on my journal page and here is a link to one I wrote for the Endangered Species Coalition: Wolves. 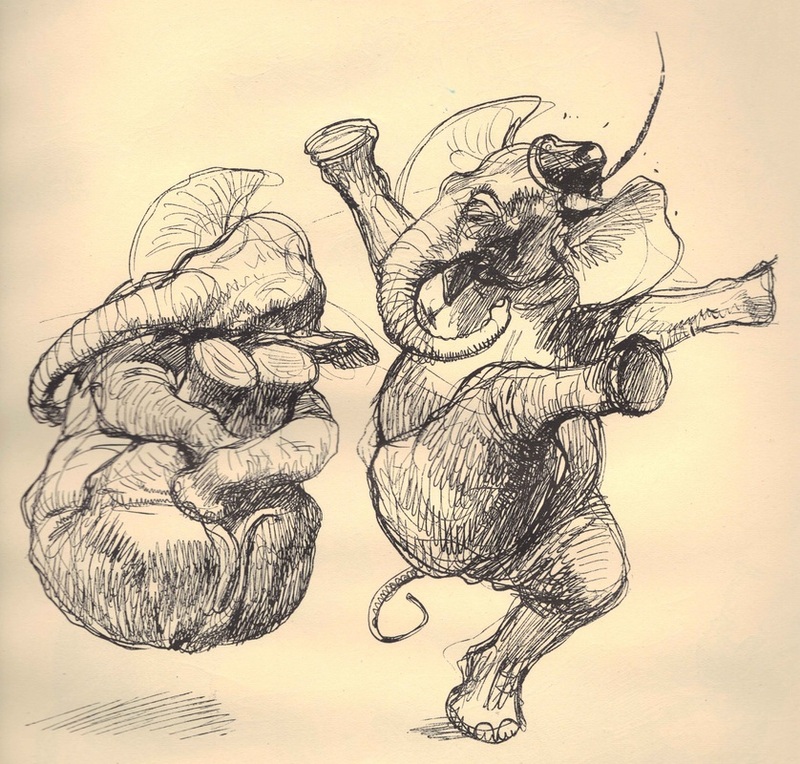 I will have more links, videos, and photos of inspiring thinkers disguised as artists, but in the meantime, here is a wildly imaginative drawing by Heinrich Kley (the guy who Disney took the ideas of Fantasia from).